It is really difficult to find where the border between eating healthy and being obsessed with eating clean lies. Several decades ago, we used to enjoy every chocolate bar and bread we could have without thinking about trans fats and gluten. Today, many foods that used to be normal are demonized. Is there any reason to avoid gluten and be afraid of using salt? Let’s find it out. Our grandfathers did not mind eating butter, frying in lard, and drinking fatty milk. It is only in the recent years that people have come to be utterly suspicious about everything that gets into their plates. Of course, this approach is not groundless: there is ample evidence that excessive intake of salt can lead to a wide range of cardiovascular diseases, diabetes and other health problems; saturated fats also take their toll on our heart health and that of other organs; and common wheat really can be not just a waistline offender, but a cause of gastrointestinal problems. All this is true, but the over-cautious choice of food has become a trend and turned millions of people into obsessed patients trying to make everything sterile and clean. Is there any reason to be that picky? However, the advice does not really apply to literally everyone. Those who suffer from hypertension, i.e. have blood pressure higher than 120/80, should abstain from salty foods for good reason: for each gram of sodium per day, blood pressure increases by 2.1 Hg, compared to healthy people, in whom this figure made up 1.2 Hg. It means patients with hypertension are sensitive to salt, and cutting down on it is really reasonable. As far as healthy people are concerned, lack of sodium can lead to health problems which are surprisingly similar to the ones caused by the excess of it. The message here is not to start devouring chorizo for breakfast and dinner, but not to exclude salt from your diet completely, provided you do not have hypertension or other cardiovascular diseases. Keeping it as low as 2 g a day is actually OK, as even if you do not add salt when cooking, sodium is found in foods you buy at a supermarket. Gluten has become one of the archenemies of humankind. Many people came to believe their guts cannot bear that thing you put in it every day and that they may benefit from avoiding gluten. It is true that some people suffer from gluten intolerance, or coeliac disease, but people who are really gluten-sensitive are rare. Those who have the disease make up around 1% of the population in the U.S. 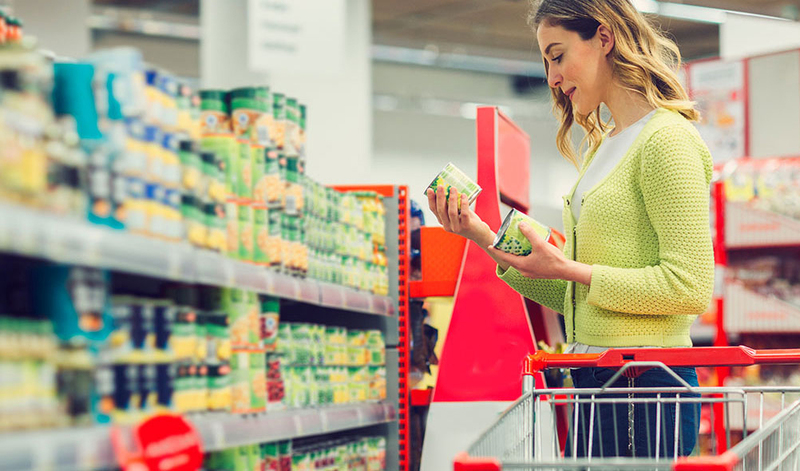 In most cases, buying gluten-free food (or even shampoos or whatever the industry’s lust for money can lead them to offer) is not a healthier option. On the contrary, gluten-free food is often higher in fats, does not have as much fiber, and its price tag is also impressive. For most people, eating gluten-free does not mean eating healthier, and it may well be the opposite. If you suspect you have the disease you have self-diagnosed, consult a professional and undergo tests before you say good-bye to common pasta. There is a lot that advances in science have revealed about nature, but some of the findings reported in magazines and newspapers led people to believe in something that is not backed by scientific evidence, and while offering gluten-free products is a lucrative business, think again: do you really need to make all these changes to your diet? One of the highest virtues is reasoning. Take all fad diets with a pinch of salt (pun intended) and stick to a healthy diet rich in veggies and fruits, but make your choice of foods reasonable, do not let it be driven by ads.